MARQUETTE — At 7 p.m. Wednesday, the Peter White Public Library will host a meeting of its science fiction book group, Klava Klub, at Contrast Coffee, located at 600 N. Third St., Marquette. 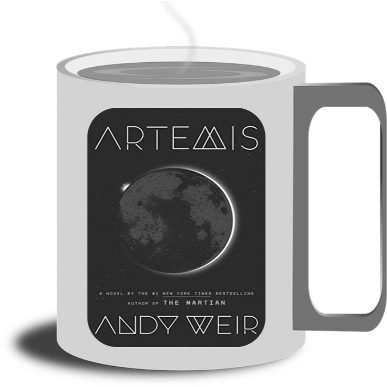 This month the club will discuss “Artemis: A Novel” by Andy Weir. Having lived on the lunar city or Artemis since she was 6-years-old, Jazz Bashara has one goal in life — to become rich — but working part-time as a porter and smuggler isn’t going to get her there. 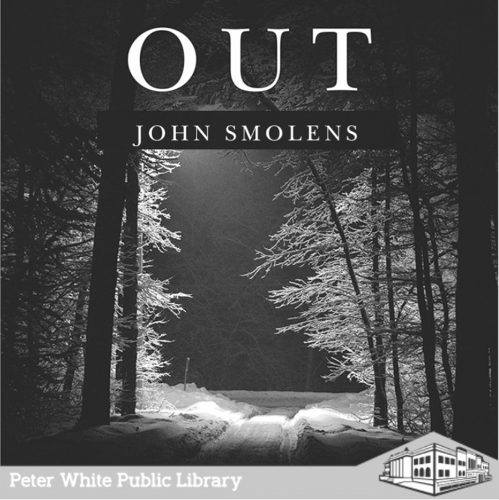 When the billionaire Trond offers her a million slugs to do some sabotage for him, she agrees, ignoring her better instincts. Only two-thirds successful, her actions set into motion events that threaten not only herself, her family and her friends, but also the city she loves. Go to Contrast Coffee, grab a cuppa and discuss sci-fi novels old and new. There is no admission charge to attend. For more information, visit www.pwpl.info or call 226-4318. MARQUETTE — The Holiday Inn of Marquette and The YMCA of Marquette County announce they are once again partnering up to host Stuff The Bus 2018. Stuff The Bus is a one day Marquette County-wide event held with the intent to collect new school supplies for children in need. It takes place because all children deserve the chance to start their first day of school with all the supplies needed to make their learning experience everything it should be. A Checker Transport school bus will be parked at the Holiday Inn, 1951 U.S. 41 West, Marquette, from 10 a.m. to 6 p.m. Monday. Businesses and residents can drop their donations off during this time. At 6 p.m. the bus will drop off all donations at the YMCA where they will be sorted and distributed to kids in need. Cash donations are always appreciated as well. PALMER — The inaugural Used Book Sale for the Richmond Township Library will take place from Aug. 20-23. The sale will start on Monday at 1 p.m. at the library at 304 Snyder St. in Palmer. The books will be 25 cents for hardcover and paperbacks or $3 a bag. The sale will be during the library’s open hours: 1-7 p.m. Monday; 11 a.m. to 5 p.m. and 7-9 p.m. Tuesday; and 11 a.m. to 5 p.m. Wednesday and Thursday. The library will be taking donations for gently used books to sell from 10 a.m. to noon Monday. No books will be accepted after noon on Monday. For more information call Jan at 475-5241. MARQUETTE — Marquette Maritime Museum’s Evening Lighthouse Tour is at 8:15 p.m. Tuesday. Tickets are free for members and $10 for non-members. Call 906-226-2006 to reserve tickets. MARQUETTE — Marquette Senior High School students should pick up their textbooks, Chromebooks and schedule of classes at the high school Student Resource Center-Library between 9 a.m. and 3 p.m. according to the following schedule: seniors – Tuesday; juniors – Wednesday; sophomores – Thursday; and freshmen – Friday. Make up day will be from 10 a.m. to 2 p.m. Aug. 30 in the SRC-library. Parking permits may be purchased for $45. Car registration and completed Application to Drive a Vehicle on School Property required. These permits are sold on a first-come, first-served basis starting with seniors on Wednesday. MARQUETTE — Father Marquette Catholic Academy is currently accepting applications for its Little Eagles Preschool program, currently serving 3 and 4-year-old students. For more information, contact Ashley Maves at 225-1129 ext 1. MARQUETTE — The Northern Center for Lifelong Learning will host an excursion to Canyon Falls and gorge from 10 a.m. to 3 p.m. Aug. 28. The registration deadline is Thursday. Participants can carpool to the location. It is a 15-minute walk from the parking lot to view large rock slabs lining the Sturgeon River and the picturesque Canyon Waterfall and scenic gorge. A buy-your-own lunch will follow in Michigamme on the return trip.